The QFHS Library holds a number of special collections, books, and other gems that are waiting to be discovered. The journals and periodicals as well as non-reserve books may be borrowed. Other materials, such as the collections, maps, microfilm and microfiche, must be used in the library. Edited by John Crowley, William J. Smyth, and Mike Murphy. 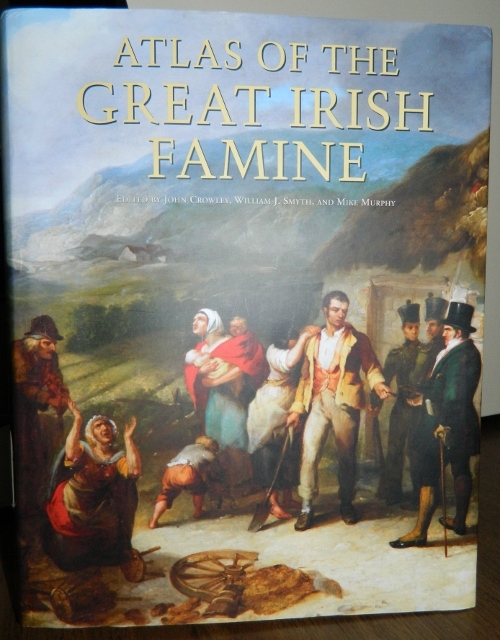 This new addition to the library has arrived in good time for St. Patrick's Day.It's a wonderful resource for anyone researching this period of their Irish history. Look for it in the reference section of the library. 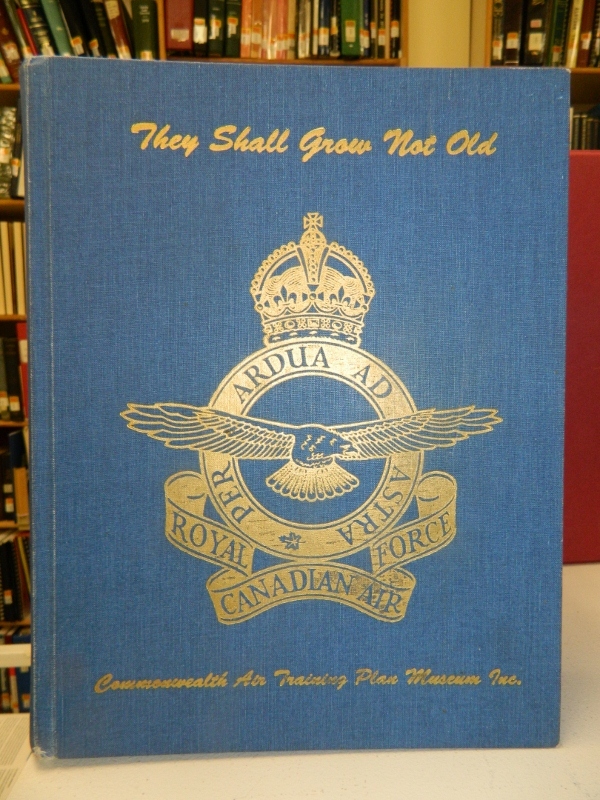 A Quebec Family History Society member has donated a magnificent book to our library: They Shall Grow Not Old, compiled by Les Allison and Harry Hayward, published by the Commonwealth Air Training Plan Museum of Brandon, Manitoba. The book's inscription reads: "This book has been produced as a Memorial to all those Canadians who took part in the air war 1939-45. It contains a short biography of the over 18,000 Canadian airmen, airwomen, and other nationals wearing the uniform of the RCAF, who lost their lives between September 4, 1939 and August 12, 1945." The book also contains the Royal Air Force Casualties in and near Canada 1939-1945, plus photos and maps. Consult over 120 journals and periodicals available in the Library. QFHS owns one of the largest collections of periodicals from genealogical societies throughout Canada as well as from the British Isles, Australia, New Zealand and the United States. 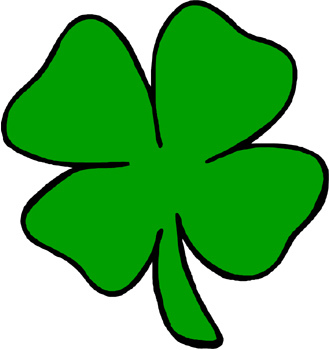 The QFHS collection includes the International Genealogical Index (England and Wales, Scotland, and Ireland); the Loiselle collection (Roman Catholic marriages from 1650s to 1935) searchable by male or female names; and the Methodist Church Registers for eastern Ontario and Quebec. Also available are the Toronto Globe and Mail newspaper microfilms from 1970-71 and 1975 to 2007. Material provided by the Heritage Branch (Montreal) of the United Empire Loyalists Association of Canada. QFHS members can access the collection in the Heritage Centre. This amazing collection features much historical information on Quebec City, including notarial documents, builders, contractors and surveryors of the time. You may even find a list of all the owners of an ancestor's house, much of it back to the 1600s. Included with many are diagrams of the building itself, plans of the street and the city ward in which it was situated and maps of the area. There are even descriptions of some of Quebec's historic buildings like homes, churches and mills. See Sharon Callaghan's article in Connections, Vol 29 Issue 3, Spring 2007 as well as her listing of the Norma Lee Collection in the Members' Only section. Researchers will find indexed references to early Gaspé families. The Reverend George Milne Diary (1841-1873) provides a description of everyday life in the time period, as well as references to births, marriages and deaths performed by Rev. Milne. The file includes extensive writings on the shipping industry in the early Gaspé years as well as land claims and census information. The Ernest (Ernie) Smith Collection of Filiatrault pedigree charts. First published in 1896, these two large books contain the history of 400 families who settled in Compton County and Sherbrooke County. Also included is part of the St. Francis District, from the 1790s onward. This book provides detailed information about more than 100 Protestant churches in Missisquoi, Brome and Shefford Counties, and the Richelieu River Valley. You may find a photo of your relative or learn when they graduated in McGill University yearbooks (1898, 1908, 1930, 1931, 1932, 1934, 1940, 1942, 1943; McGill alumni directories (1890-1965, 1980, 1990, 1996); Sir George Williams yearbook (1957); or Westmount High School yearbooks (1930s). Maps, Atlases and Gazeteers Some of the finds in this collection include Quebec seigneuries, maps tracing the development of Montreal from 1815 onwards, the Pony Express, and Caldwell Manor, Clarenceville.